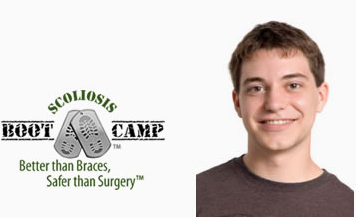 The Boot Camp program is an intensive two week scoliosis exercise rehabilitation program designed to decrease existing spinal curvatures over 25º and eliminate the need for bracing or surgery. Make no mistake... this is NOT a brace! Our patented Scoliosis Activity Suit uses active resistance and your body’s own motion to help your spine return to a more neutral and straight position. Rebalance your child's neurotransmitters and improve response to scoliosis exercises. Rebalance your child’s neurotransmitters and improve response to scoliosis exercises. A less intensive, 5 day program with the goal of increasing mobility, relieving pain, and preventing further progression and spinal deformity. 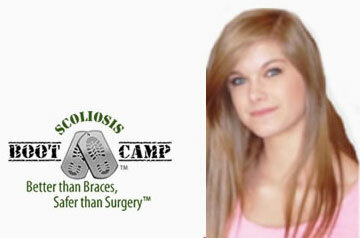 Why Do Scoliosis Patients from Across the Country and Around the World Travel to ScoliSMART™ Clinics? For nearly 100 years, doctors have tried the same, tired approaches to treating patients with scoliosis. But over a decade ago, a few rogue doctors said: enough! 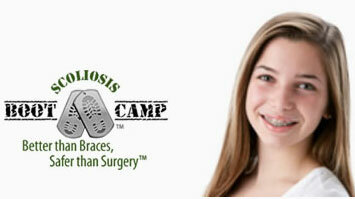 Enough to cumbersome braces that restrict a patient’s movement for 23 hours a day. Enough to expensive, invasive surgeries that have a more than 50% failure rate. These doctors believed that there had to be a better way – an active way, utilizing the best in traditional and modern medical philosophies to use the human body’s natural strength and potential to mend itself. The fruit of their labor is the revolutionary ScoliSMART treatment plan, which is the best non-invasive scoliosis treatment in NYC. Whether you’ve just been diagnosed or have been struggling with scoliosis for years, are young or old, male or female, ScoliSMART will change your life by controlling, and even reversing, your scoliosis. 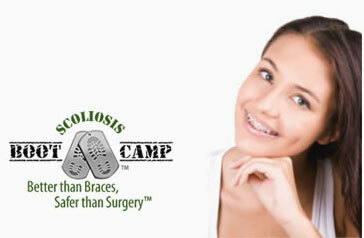 And it will do so without any uncomfortable braces of expensive surgeries. How, then, do we do it? We start by working with you, one-on-one. From your very first meeting, we promise to give you individualized care, tailoring your treatment program to your body’s specific needs. Instead of a ‘wait-and-see’ attitude, we believe in being proactive. Any delay in treatment can lead to significant problems down the road. From here, we get you started in a sort of ‘boot camp,’ where you’ll learn the basics about the equipment and exercises that make up the core of your program. Once you learn these, you’ll be able to take charge of your treatment by doing it in the comfort of your own home. By using Auto Response Training, these exercises trigger the muscles and reflexes around your spine, which work together to ‘right’ your curvature as you progress through your treatment. 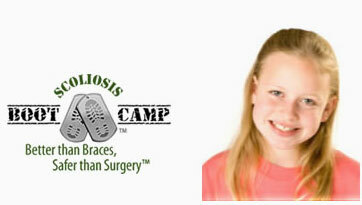 During your boot camp, you’ll also work with our doctors to develop the best diet for you. This diet will help to maximize your exercises, providing support and fuel for your body as it uses its natural strength to do what braces and surgeries cannot – heal itself. We have plenty of options for initial treatment programs. They vary, depending on whether you’re an adult or a child, and whether your spinal curvature is mild or severe. But they all have one thing in common: they use the innovative ScoliSMART approach to immediately get you on the track back to a healthy life. The following are some of our most successful programs. They’ve been used, and approved, by thousands of patients. Which one is right for you? 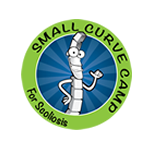 Small Curve Camp™: Instead of the traditional ‘watch and wait’ approach, we believe that a proactive program, implemented shortly after diagnosis, can set a patient on the path to a long, healthy life. Early Stage Scoliosis Intervention can reduce existing scoliosis, stop or even eliminate progression, and empower parents and kids by putting them in control of their long term treatment plan. Our Five Day Program is the ideal place to start when first diagnosed with a curve of less than 25 degrees. 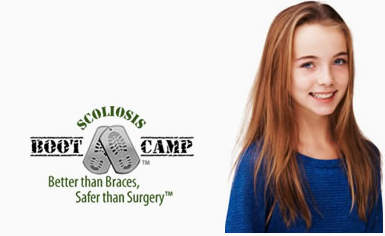 Scoliosis BootCamp™: A Ten Day Program designed to reduce and stabilize existing scoliosis when the curve is 25 degrees or greater. If you’ve got a curve of 25 degrees or greater, some doctors might tell you that a brace is necessary, or that surgery is in your future. This is simply not true. 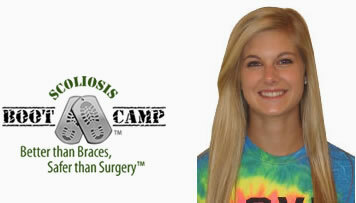 Our Ten Day Boot Camp has no braces and doesn’t require surgery, and yet it gets results using innovative spinal rehabilitation techniques, including static auto response training, dynamic training using the patented scoliosis activity suit, and nutritional support to enhance your recovery and improve the stability of your spinal corrections. 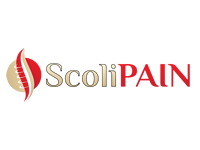 ScoliPAIN™: If you’re an adult patient who suffers from pain related to degenerative scoliosis, the options might seem limited. But ScoliSMART has developed a nonsurgical treatment option to reduce pain, stabilize your scoliosis, and perhaps even improve your curvature. 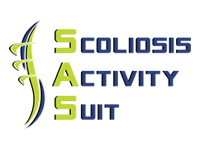 Scoliosis Activity Suit™: While braces try to force your curvature into place through external pressure, this innovative neoprene suit, which can be worn under clothing, is motion activated, which means it uses your body’s natural movements to untwist your scoliosis. It uses the internal strength of your body to help you heal naturally. 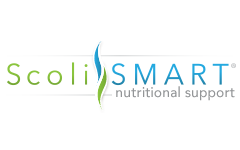 ScoliSMART Nutritional Support: Most people don’t know what neurotransmitters are, but they play a vital role in stopping the progression of scoliosis. With a simple urine test, we can get detailed information regarding your neurotransmitters. This allows us to develop a diet specifically for you, which will balance these crucial brain chemicals. This can improve your response to treatment and potentially slow progression. Get Your Free Scoliosis Nutritional Test Kit Today! 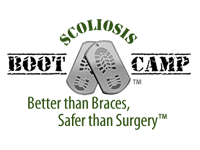 The following links allow you to better understand scoliosis and will help in your search for the right scoliosis treatment program. What is Scoliosis? Scoliosis is a sideways curve in the spine of greater than 10 degrees when viewed from front to back. It is easily diagnosed by an x-ray. Any sort of spinal curvature is a complex three dimensional condition that causes a twisting of the ribcage as well as the flattening of the normally curved side-view of the spine. What Causes Scoliosis? While the actual cause of scoliosis is unknown, it is believed that certain genetic and environmental factors contribute to the beginning and progression of the condition, which affects 3-5% of the population. Scoliosis Information for Adults and Children In most cases, scoliosis will present itself in a person’s adolescent years. It usually begins as a mild curve that, over time, may or may not progress into a more severe curvature. However, adults can sometimes develop scoliosis later in life due to environmental factors – such as repetitive motions, poor posture, and bone density loss. Scoliosis Treatment Recommendations For patients who have just been diagnosed with scoliosis, the treatment options have historically been limited to watching and waiting. If the curvature progressed above twenty five degrees, then bracing was recommended. And then if the curvature progressed past forty degrees, costly and invasive spinal surgery was often recommended. Today, with new developments and research, as well as considering treatment philosophies outside the western ‘norm,’ ScoliSMART has developed revolutionary, non-invasive treatments that take a proactive approach upon diagnosis, thus preventing the need for costly, invasive treatments later on. 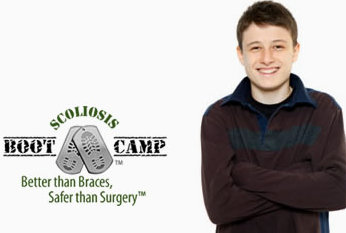 Scoliosis Braces In an attempt to prevent further curve progression, there have been many forms of braces developed over the years. 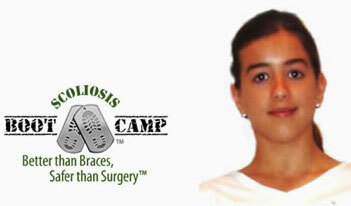 These braces range from soft to rigid, and cover part or all of the torso. Most of them must be worn for up to twenty three hours per day. The long-term effectiveness of bracing has not been shown to prevent further progression, or aid in restoring spinal stability or increased flexibility. Is Scoliosis Surgery Dangerous? Multiple level spinal fusions are the most invasive orthopedic procedure performed. These surgeries often take 6-8 hours to perform, and they have a 55% failure rate within 15-20 years post operation. Although some correction will occur, the spine is fused and thus will not bend or twist normally, which limits movement. Following a spinal fusion, many patients experience pain and disability later in life. Scoliosis and Nutrition New research is showing that nutrition is one of the environmental factors that may stop the progression of scoliosis. Nutrients such as selenium, melatonin, and others, have symbiotic effects in scoliosis patients. Scoliosis Progression 1 in 4 children with scoliosis are at risk of developing moderate to severe spinal deformity over the course of their lives. Thus, it’s imperative that scoliosis be treated immediately upon diagnosis. 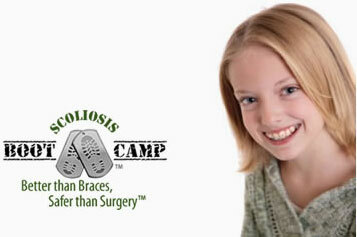 70% of all scoliosis progression occurs during a short 3 year pubertal growth phase. The longer you wait to get treatment, the more likely you are to suffer problems later in life. There are certain types of scoliosis continue to progress into adulthood, albeit at a slower pace.